The South by Southwest festival has been going since 1987, taking place in Austin, Texas during March. 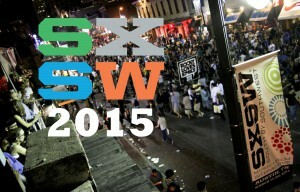 Not just covering film, SXSW also covers music and interactive in a festival spanning 10 days. This year, the festival kicked off on the 13th and will run until the 22nd March. The film aspect of the festival has always been the main focal point, celebrating new directing talent from around the world. This year marks the 28th anniversary of the festival. Back in 1986, the New York music festival wanted to extend down in Austin, Texas. The organisers tried to contact Roland Swenson, who was working at the Austin Chronicle about holding a music festival to follow the one in New York. The move never materialised so Swenson went ahead and created a new festival anyway. Initially the festival was just music based, with the name South by Southwest a play on the 1959 Alfred Hitchcock movie North by Northwest. The first SXSW took place the following year on March 1987, proving much more popular than expected, with over 700 attending. The music festival continued to grow until 1994 where the film element was added, that same year Jonny Cash made an appearance as a notable keynote speaker. SXSW 2015 is taking place now, to run until 22nd March where a record 145 feature films, the most seen at SXSW. Amongst these films are a number of highly anticipated films set to premiere at the 28th festival. One anticipated film is Trainwreck, the latest comedy from Judd Apatow (40 Year Old Virgin, Pineapple Express), starring Bill Hader (Superbad) and Amy Schumer, who also wrote the film. Will Farrell’s latest comedy Get Hard will also premiere at SXSW, starring Kevin Hart, the film follows Farrell as businessman James King who is wrongfully incarcerated for tax evasion, who asks for help from his buddy Darnell Lewis on how to survive prison life. Joining the many new faces of film at this years SXSW is a classic that is hitting its 30th birthday. The Breakfast Club, the John Hughes is being restored for a special screening at the festival. Released in 1985, starring a young Emilio Estevez and 80s teen icon Molly Ringwald, who will also be in attendance, will be shown to celebrate three decades since its release. Ryan Gosling (Drive) will be showcasing his directorial debut in moody Lost River, also starring his Drive co-star and Mad Men actress Christina Hendricks. On the documentary front, leading the line is the biopic of the founder of Apple, Steve Jobs: Man in the Machine. Deep Web, the look at the dark side of the internet is Alex Winter’s (Bill and Ted’s Excellent Adventure) latest foray into documentary filmmaking. South by Southwest film festival will run from March 16th to the 22nd March.